Tesco has taken the wraps off its first tablet, the Hudl. The tablet, which will cost £119, has been designed to help push Tesco's range of entertainment services, such Blinkbox, as well as boost online sales of groceries. Tesco's Hudl comes with Android JellyBean 4.2 and is powered by a 1.5GHz quad-core processor. It has a seven-inch 16:9 high definition 1440 x 900 display with a pixel density of 243 ppi. To compare, the iPad 4 Retina model has a resolution of 264 ppi. According to Tesco, the Hudl will have a battery life of nine hours when playing video. The company said that the tablet is “about making Tesco customers' lives easier”. It pointed to OFCOM statistics that show around three quarters of UK homes still don't have access to a tablet. 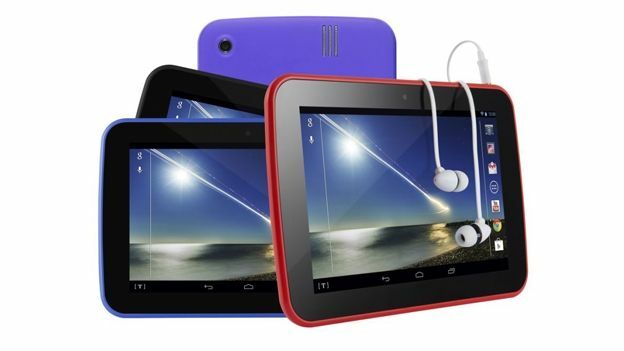 “Hudl is a colourful, accessible tablet for the whole family to enjoy,” commented Tesco chief executive Philip Clarke. "The first stage in our tablet offering, it's convenient, integrated and easy to use with no compromise on spec. Customers are quite rightly very discerning about the technology they buy so we knew we had to be competitive on all fronts. “Being online is an increasingly essential part of family life and whilst tablets are on the rise, usage is still quite limited. We feel the time is right for Tesco to help widen tablet ownership and bring the fun, convenience and excitement of tablets to even more customers across the UK. Tesco has said the Hudl will go on sale in 1,000 of its stores from September 30th. However, if you want to get hold of one early, you can enter Tesco Tech Support's competition to win a Hudl for yourself.